I believe we can all agree that the thing we all hate the most when doing a laundry is clothes not fully dry after drying. Don’t you hate it when moisture is left on your clothes? The moisture can easily become a breeding ground for bacteria, fungus and yeast cells. Yikes, right? So, today we’ve decided to review a product that has a great moisture sensor so that you can be sure that your clothes are perfectly dry. 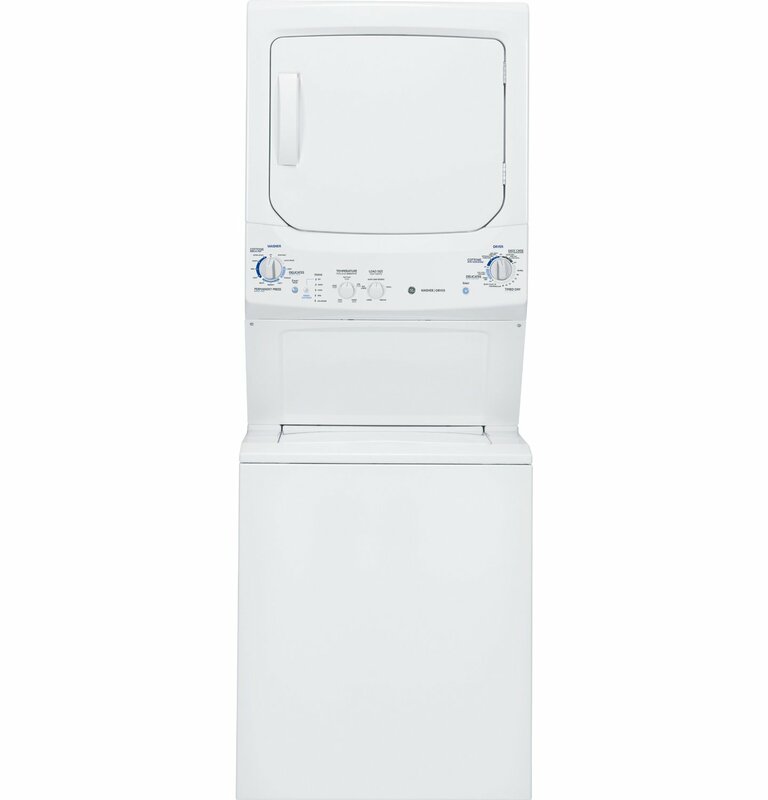 The GE GTUN275EMWW is a stackable unit and a great solution for small places. 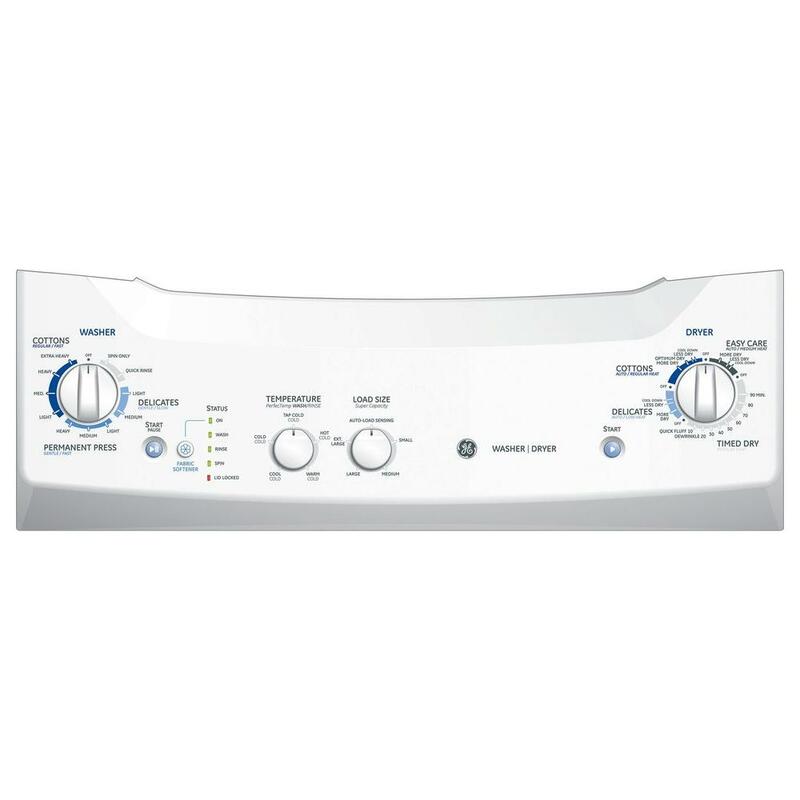 It’s an energy efficient appliance and comes with different features that give the user various options for handling the main laundering needs. Weight: Unit: 241 lbs. ; Shipping: 271 lbs. Capacity (cu.ft. ): Washer capacity: 3.4 cu. 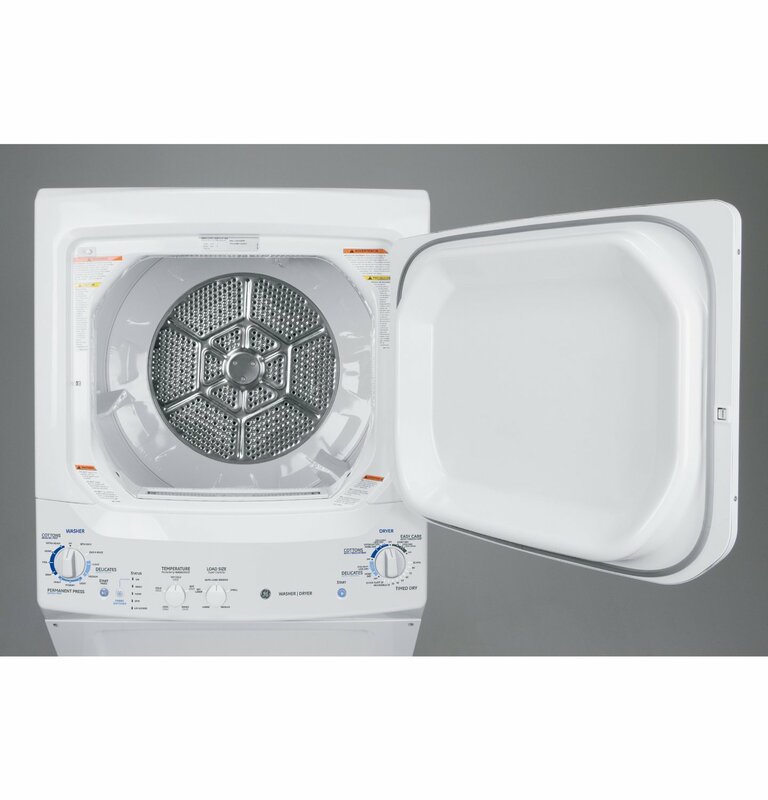 ft.; Dryer Capacity: 5.9 cu. ft.
3 wash/spin speed combinations – matched according to the fabric type for top-notch clothes care. 9 wash cycles and 4 dry cycles – the settings for each type of fabric are convenient. Auto-load sensing with multuple water levels – the unit automatically measures the size of each load and adds the right amount of water. Fabric softener and bleach dispensers – you can now achieve soft and bright results. Rotary-electronic controls – which make this unit easy and simple to use. 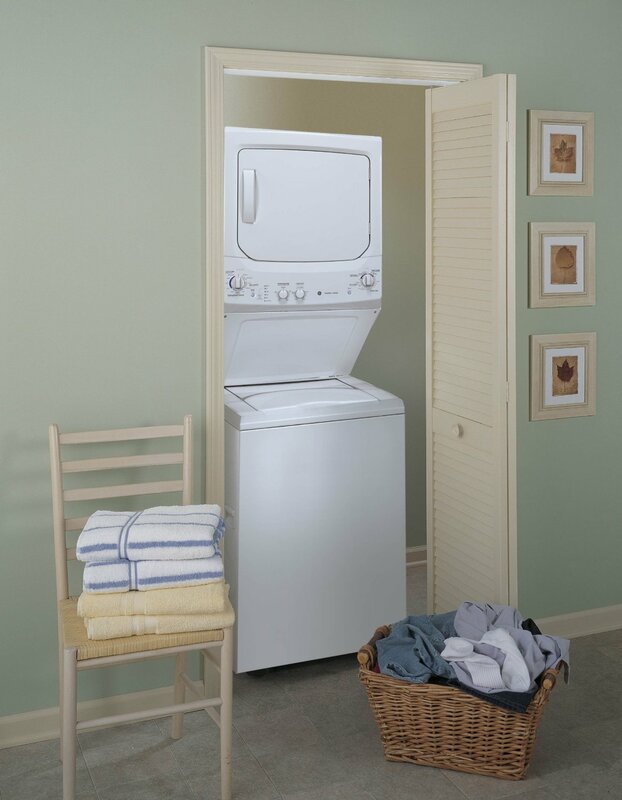 Operate the washer and dryer simultaneously – you can now complete the laundry in just a few hours. Stainless Steel Wash Basket – the long-lasting finish won’t peel, chip or snag clothes. Energy Star Qualified – exceeds the federal guidelines for energy efficiency. 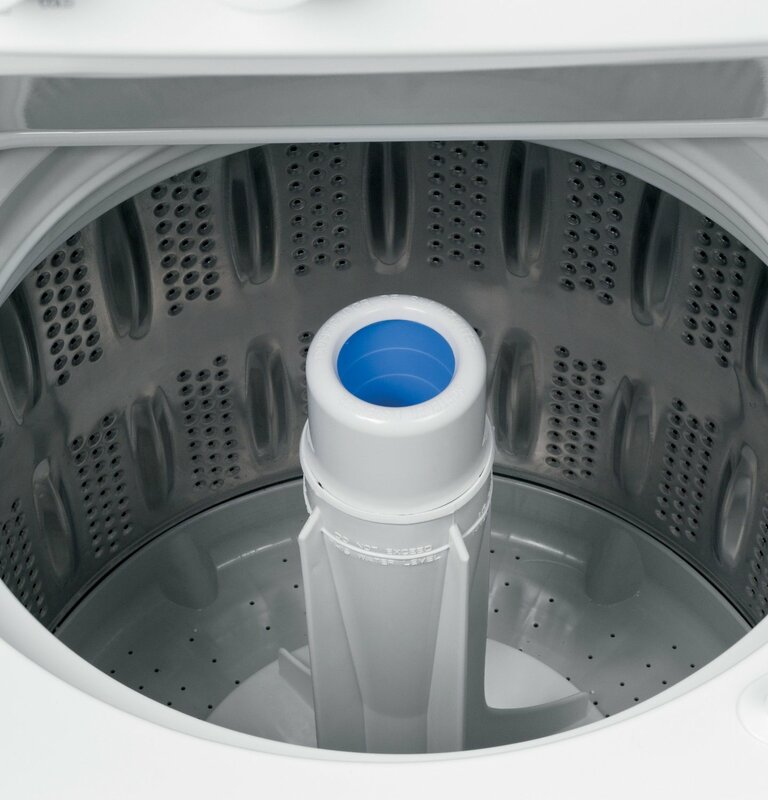 Wash Programs: Spin Only, Quick Rinse, Delicates (Light, Medium), Permanent Press (Light, Medium, Heavy), Cottons (Light, Medium, Heavy, Extra Heavy). Dry Programs: Wrinkle Free, Delicates, Cool Down, Auto Dry. Wash/Rinse Temps: Tap Cold/Cold, Hot/Cold, Wash/Cold, Cool/Cold, Cold/Cold. Options: Additional Cycles: Auto Regular, Air Fluff, Auto Permanent Press, Quick Fluff, Automatic Delicates, Dewrinkle, 90 Minute Timed Dry. Materials: Powder-Coated Steel Dryer Drum Material, Stainless Steel Washer Drum Material, Steel Cabinet. Since I couldn’t find a video for this particular model, check out the GE #WSM2700DAWWW model. Nice design for a stackable unit. Sturdy and plenty of features. Takes care of the clothes. The drying features are amazing. No problem with clothes getting tangled. Makes strange knocking sounds when switching between cycles. Users aren’t satisfied with its reliability. Conclusion: So, what do you think? Is this stackable unit fulfills your expectations? Aut0-load sensing, 9 wash cycles and 4 dry cycles doesn’t seem bad at all, so if you’re satisfied with the features and the design, go ahead and order this unit. However, remember to consider the feedback left by the users who already have this GE appliance – you may dislike some of the reviews.